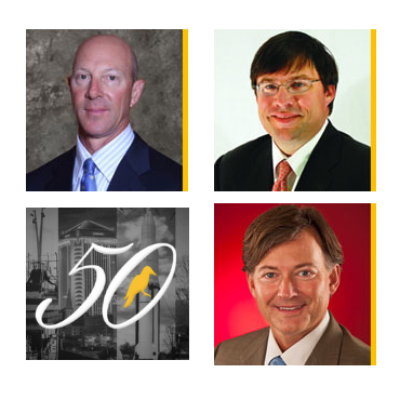 Each year Yellowhammer News recognizes 50 influential leaders in Alabama politics, business and government, the Yellowhammer Power & Influence 50. This years full list will be announced at the Power of Service reception on Thursday, October 25th in Birmingham. Additionally, Yellowhammer recognizes several leaders from each region who are making a difference. For coastal Alabama, Elliot Maisel of Gulf Distributing, Angus Cooper III of Cooper T. Smith and Wiley Blankenship of Coastal Alabama Partnership were identified as key leaders who drive policy in our region. Congratulations and thank you to these gentleman for their vision, hard work and dedication to making coastal Alabama the best it can be.